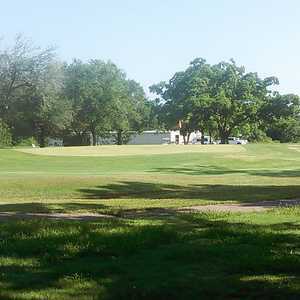 LEAGUE CITY, Texas - Many times when a golf course describes itself as links-style, what it really means is "we have no trees." Magnolia Creek doesn't attempt to duplicate specific holes - instead it replicates the "spirit" of UK links golf. Just because a piece of land is flat and barren doesn't mean it resembles the Scottish countryside that "links" the land with the sea. Golf links require humps and hollows and dunes covered with harsh vegetation. Of course there also must be the signature round, deep bunkers synonymous with golf of the British Isles. Up in Dallas, The Tribute has captured the feel with its replicas of 18 well-known Scottish holes. Another Texas course also has done so. 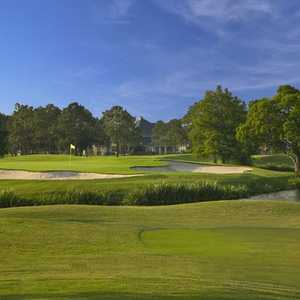 Magnolia Creek Golf Links in League City, south of Houston on the way to Galveston, has all the requirements. And while it doesn't attempt to duplicate specific holes, the 27-hole layout is a near-exact replica of the spirit. We picked an ideal time to sample Magnolia Creek - the day of the opening round of this year's British Open. We watched a few holes of Royal St. Anne's on the clubhouse televisions and then went outside to tackle a Texas version. Of course, the pros were all wearing longsleeves and jackets while we walked out to 90-degree heat and 70-percent humidity, proving that you can only duplicate so much. The first 18 holes of Magnolia Creek Golf Links - the Scotland and Ireland nine-hole tracts - opened last fall and the England nine debuted this spring. Each hole has its own name, such as Brave Heart, O're the Burn and Dragon's Lair as do each set of tee boxes (from back to front) Vardon, Old Tom, Willie and Vare. Maybe it was because the wind didn't kick up until the final five holes or perhaps it simply was because we were on vacation, but Magnolia Creeks Golf Links was fun. Even with native grasses doing a remarkable imitation of the notorious Scottish gunch and a couple of pot bunkers so steep and deep they required stairs, the course was a fair and true test. Except for a few rough spots on the new England nine, fairways and greens were in remarkable shape. 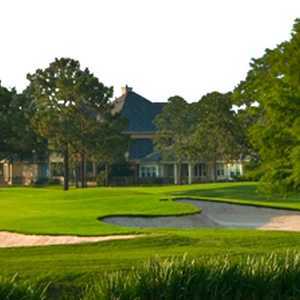 You have to be an avid golfer to travel to Great Britain and sample real links-style golf, but next time business or pleasure takes you to Houston, try Magnolia Creek Golf Links. It may well be the next best thing to being across the pond.